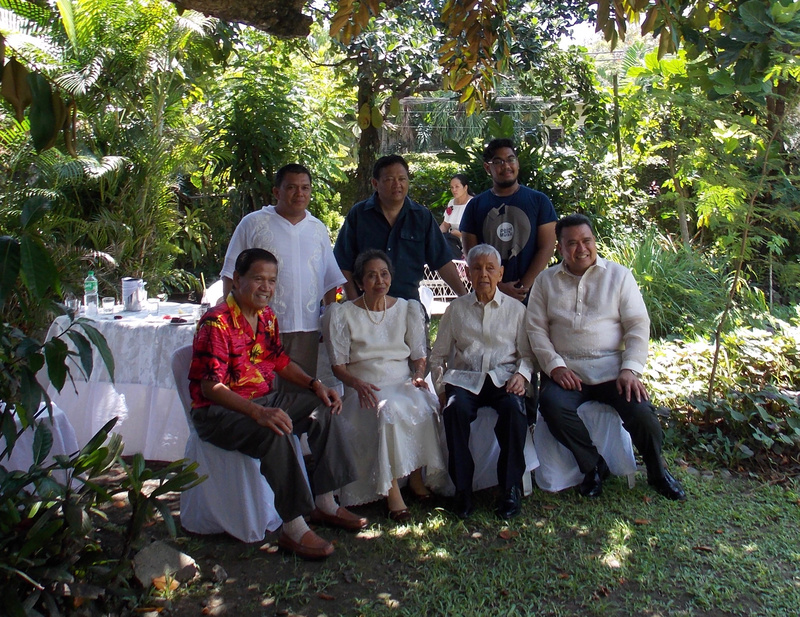 In May 2017, I joined my aunt Luz and uncle Vic Saavedra’s 60th wedding anniversary in Iligan City, Philippines. During this festive family celebration, Philippine President Rodrigo Duterte imposed martial law in Iligan City and the island of Mindanao to crush militant rebels in nearby city of Marawi (BBC News, July 2017). Legislators in the Philippines have voted overwhelmingly to extend martial law to deal with an Islamist insurgency in the restive island of Mindanao. The island is home to a number of Muslim rebel groups seeking more autonomy. Martial law allows the use of the military to enforce law and the detention of people without charge for long periods. This a sensitive issue in the Philippines, where martial law was imposed by the late dictator Ferdinand Marcos for much of his rule. 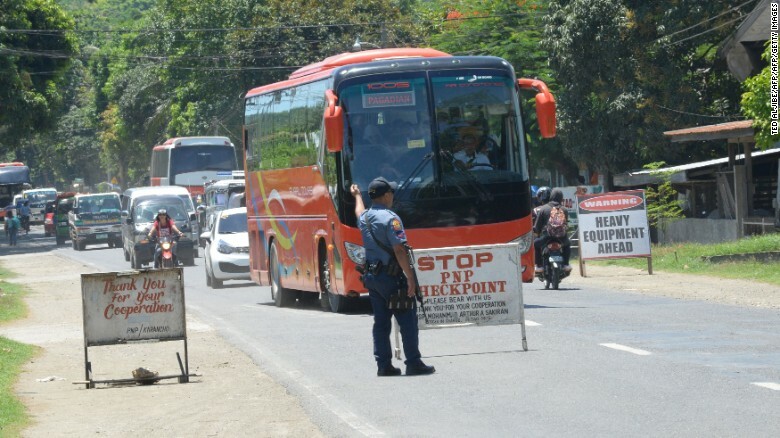 Leaving Iligan, we went through many checkpoints and delays as we head towards the local airport. Why does President Duterte continue his surging popularity in the Philippines, despite the setback of the insurgency in Mindanao? What kind of migration policies does he support? Is he like the other Philippine presidents that actively promote out-migration to continue the flow of remittances from overseas Filipino workers (OFW)? Will his tough on crime stance hinder Bayanihan (community giving)? Behind the headlines of the brash President Duterte, I was surprised that his polices were thoughtful and departs from his predecessors. Beyond the media hype of get tough, macho stance, his policies seem more optimistic, in fact, looking ahead. His presidency’s development plan is unprecedented that it situate a development agenda within the longer-term AmBisyon Natin 2040 (Our Vision 2040; literally, ambition), which reflects the aspirations of Filipinos for themselves and their country (The Philippines Beyond Labor Migration, Asis, 2017). 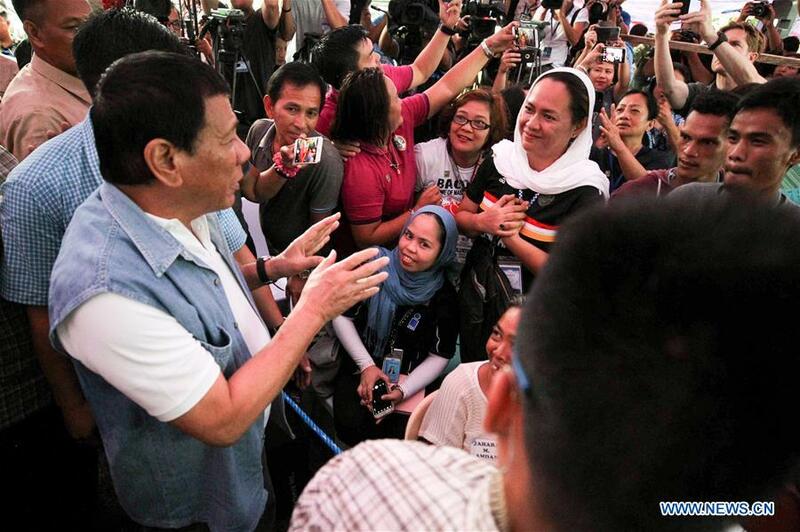 Duterte’s long-term view for the Philippine development plan (PDP) is novel. These development plans are typically anchored on the six-year cycle of each administration and nothing more. The new PDP explains, “As one of Asia’s better-performing economies today, the Philippines is in a more favorable position than it has ever been in the last four decades. No longer weighed down by an unmanageable fiscal deficit and more secure in its political legitimacy, the government can now afford to think about national goals based on a longer time horizon.” The Duterte administration’s target is to achieve annual GDP growth of 7-8 percent in the medium term, and the PDP aims to cut the poverty rate from 21.6 percent to 14 percent overall, and from 30 percent to 20 percent in rural areas. It also seeks to reduce the unemployment rate of 5.5 percent by 3-5 percentage points by 2022 (The Philippines Beyond Labor Migration, Asis, 2017). The new development plan also gives special attention to overseas Filipinos by incorporating international migration issues, often referring to migrants directly, throughout. It gives attention to the special circumstances of migrants and their families, and aims to protect their rights and improve their well-being, strengthen their engagement in governance, ease their participation in the country’s development, and ensure their smooth reintegration upon return. Last March 2017, Duterte visited Thailand and he spoke to almost 2,000 overseas Filipino workers. The Philippine President said, “My dream for the Philippines will not be reached overnight, but we can start it. In 10 years, you don’t have to travel abroad to find a job.” (Manila Bulletin, March 2017). This is a departure from other Philippine presidents that actively pushed Filipino workers to find employment abroad and keep sending vital remittances back to keep the country fiscally afloat. Limited employment opportunities affected many higher skilled Filipinos, forcing Filipinos to migrate by necessity and not by choice. And their emigration results in brain drain, which deprives the country of human capital important for development. (The Philippines Beyond Labor Migration, Asis, 2017). On the other hand, Duterte’s long-term plans calls for strengthening the long-running Balik Scientist (Return Scientist) Program and similar schemes. He is open to the idea of tapping foreign experts, including overseas Filipinos, for institutional capacity building and development expertise. This is an important policy pivot. The Bayanihan Foundation believes in connecting the expertise of Filipinos abroad, promoting return migration and reversing the brain drain. However, it remains to be seen, if Duterte will keep up the momentum to maximize the development potentials of migration, while continuing to look out for the well-being of migrants working abroad (The Philippines Beyond Labor Migration, Asis, 2017). This entry was posted in government, Overseas workers, Philippines, Remittances and tagged community involvement, diaspora giving, Philippine government. Bookmark the permalink.